when you like something as much as your motorcycle.  When you purchase your first Harley motorbike, you automatically receive a complimentary one year membership in H.O.G.® International.  The Amman Harley-Davidson dealership will provide you with your H.O.G.® number which you will use to register and later renew your membership. 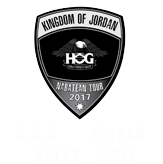 By joining H.O.G.® Kingdom of Jordan Chapter, you'll be connecting with fellow Harley-Davidson enthusiasts in Jordan, around our region and beyond. Moreover you will enjoy all the entailing benefits that the Chapter has to offer. Members are required to meet the guidelines found in the International H.O.G.® By-Laws and the local Chapter rules upholding standards of appropriate conduct. Active Paid Membership in H.O.G.®. Ownership of a Harley-Davidson Motorcycle in Jordan. A Completed Kingdom of Jordan Chapter Membership Form. Pay a One-time Joining Fee of 50 JD. Be part of an exclusive closely-knit group sharing the same interests, boasting mutual respect and team spirit among all members from both genders. Enjoy your motorbike and have fun by joining the well-organized rides where safety is a priority. Obtain and proudly show the Kingdom of Jordan Chapter’s patch. Have access to the Chapter’s website where rides, events, photos and videos are posted regularly. Participate in all the Chapter’s family-oriented fun-filled activities, especially the closed events. Whether as a rider or a spouse, enjoy and participate in the Chapter’s Ladies of Harley group. Enjoy benefits and discounts offered to members at Harley-Davidson® Dealership Amman. Enjoy benefits and discounts offered to members around Amman. Enjoy having the Road Assistance Card for a discounted price of 30jd only.  Be able to link and interact with similar individuals and chapters all around the world who may provide assistance and facilitate needed logistics for international rides, rallies and training.